Winning band will receive $500 and future gigs! 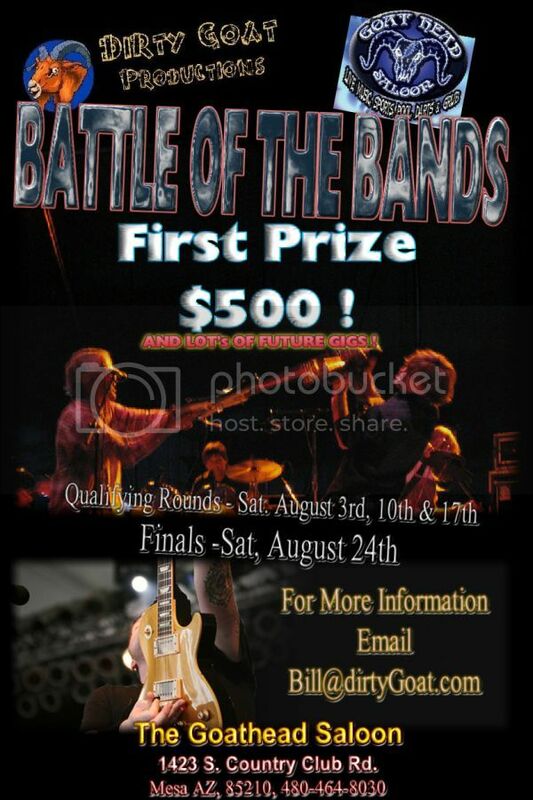 This contest is for cover bands, 3 piece or larger, and band members must be over 21. Call Bill Ludlow at 480-529-2575 or email bill@dirtygoat.com to enter your band! 1423 S Country Club Dr.